Dr. Munkasy is a primary investigator in Georgia Southern University’s concussion management research. Following completion of her doctoral work, Dr. Hunt worked as an assistant professor at the University of South Carolina where she instructed within the undergraduate and graduate athletic training programs. Before joining Georgia Southern, Dr. Hunt served as the director of research for the The Ohio State University Sports Concussion Program and assistant professor of clinical health and rehabilitation science. As a clinician, she has worked at every level of sports. She worked as a high school athletic trainer for four years obtaining first-hand experience with concussions and the lack of information available for allied health care professionals working in high schools. Her appreciation for this often medically neglected population triggered her research for concussion in high school athletes. As a researcher, she focuses on youth concussion assessment and has worked with high schools in Ohio, South Carolina, Georgia and Maryland examining high school recovery patterns, effort on concussion assessments, co-morbidities and the effect of socioeconomic status in incidence, management and recovery outcomes. Dr. Hunt is a former National Athletic Trainers’ Association Research and Education Foundation Postgraduate Scholarship Recipient. She has published several articles, given numerous presentations, and has given numerous invited presentations regionally, nationally and internationally. 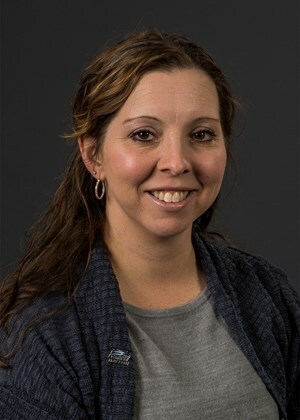 Brandy Clouse is the Associate AD for Sports Medicine and Head Athletic Trainer at Georgia Southern University. In addition to providing athletic training services to the Eagles football team, Ms. Clouse is responsible for overseeing all athletic training services for Eagles athletics along with her 4 full-time staff athletic trainers and 11 graduate assistant athletic trainers. Ms. Clouse is a vital cog in the concussion research program as the liaison between intercollegiate athletics and the research team. Dr. Shaver is the Director of the Regents Center for Learning Disorders at Georgia Southern University. Prior to becoming director, he served for 2 years as the center’s Licensed Psychologist. He also teaches courses related to clinical neuropsychology within the Department of Psychology. As a licensed neuropsychologist, Dr. Shaver consults with the Concussion Research team and Intercollegiate Athletics on the results and interpretation of post-concussion neuropsychological testing. Dr. Shaver is a co-investigator on a National Institute of Health research grant. Dr. Shaver is a member of the National Academy of Neuropsychology, International Neuropsychological Society, and Administrative Committee on Learning Disorders for the University System of Georgia. Dr. Shaver has published research articles, textbook chapters, and provided professional presentations related to neuropsychology. Megan Mormile, ATC – Megan is a first-year research assistant in the Biomechanics Lab at Georgia Southern University, specifically focusing within concussion research. She is pursuing a master’s degree in Kinesiology with a concentration in Athletic Training. Prior to her studies at Georgia Southern, Megan attended the State University of New York at Brockport where she earned a bachelor’s in Athletic Training and Kinesiology. In addition, she worked as an Athletic Trainer at Binghamton University in upstate NY. Her research interests include concussive injury with regards to postural stability, adolescence, and rehabilitation methods in Athletic Training. Klarie Ake – Klarie Ake is a first-year exercise science master’s student in the Waters College of Health Professions at Georgia Southern University. She is also a research assistant in the University’s Biomechanics Lab. Prior to her studies at Georgia Southern, she attended Campbell University and received her bachelor of exercise science degree. While at Campbell, she worked as a research assistant for Dr. Douglas Powell in the Advanced Interdisciplinary Movement Science Laboratory.